A True Low Air Loss with Alternating pressure mattress replacement system, this system comes with three additional features: Dynamic (Alternating) Mode, Pulsation Mode, and Internal Pressure Monitoring, suitable for both standard and bariatric patients who need to treat and prevent pressure ulcer from stage I to IV. The Theraflo AP system can easily shifts from standard to bariatric mode to support patients up to 450 Kg, which is durable and reliable for homecare, nursing home and hospital, including ICU, environment. True low air loss: Pressure redistribution and skin moisture transference. Twenty 8 inch tall air cells: Maximum pressure relief and therapy. Integrated 2 inch convoluted foam base: Extra protection in case of power outage. 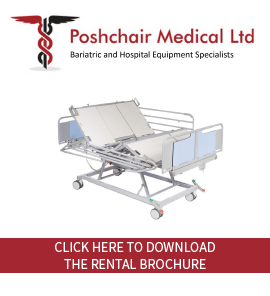 High weight capacity: For patient up to 70 stone / 990lbs / 450Kg. Long life time: Use of Nylon with Polyurethane material. Directional snaps: Better edge stability. Dartex ® coverlet: High quality proof, vapor permeable quilted, high level fire retardant material, antibacterial and fungi coating coverlet. Quick inflation ability: High performance blower inflates the whole mattress in seconds. Microprocessor driven control panel: Microprocessor driven panel for accurate and consistent pressure setting to minimize possible human error. Two stages blower: Switches easily from standard to bariatric mode. Maximum inflation mode: Inflates the mattress rapidly to maximum internal pressure for patient transferring or nursing purposes. Upright mode: Provides additional support while patient is in articulated position to prevent "bottoming out". CPR function: Deflates the whole mattress within seconds after a simple touch on the button in case of emergency. Panel lock button: Locks out control panel to avoid possible tampering of setting. Sound damping foam: Inserted to absorb sounds for superior sleeping environment. Additional long power cord: Prevents possible walking abstruction.